"I’ll be 40 on March 26th. I teach English at USI; am originally from Mitchell, Nebraska; and have been in Evansville for almost ten years. What motivates you to run/walk? Physical fitness, the competition of races, and the camaraderie with my running friends are all great motivation! I did a couple of races in the fall of 2011 and started doing an average of one race a month in 2012, so over 80! I ran cross country and track in high school, but just got back into running seriously in 2011, when I was 32. The hills on the USI/Burdette Park trail are great training. I also like Wesselman Woods, the State Hospital Grounds, the Newburgh Rivertown Trail, and the Pigeon Creek Greenway. I have done the Don Childs Memorial Run in Gering, Nebraska (near where I’m from) several times. Probably the 10K or half-marathon. I did my first full marathon last November in Indianapolis, and two of my best friends surprised me at the finish line with posters! I was totally not expecting that! It depends on the time of year…early morning in the summer, afternoon in the winter. No music—I hate wearing headphones and like to be aware of my surroundings. "I was born and raised in Posey County where I now live with my husband Brandon and our 4 children: Brennan (11), Braelyn (9), Brecken (7) and Brycton (5) as well as our new Wheaten Terrior puppy, Jade. As you can see, Brandon won with the B names so I had to get another J with Jade. I’m 30 something years old and I work at Vectren a CenterPoint Energy Company; where I have worked for the past 18 years!" I’m motivated for myself and to teach my kids what an active lifestyle looks like. I actually began tracking my races in May of 2016 and since then I’ve completed 52 races. Last year 12 of those were Half Marathons! Overall, more than 100. What age did you start running/walking for fun &amp; competitively? 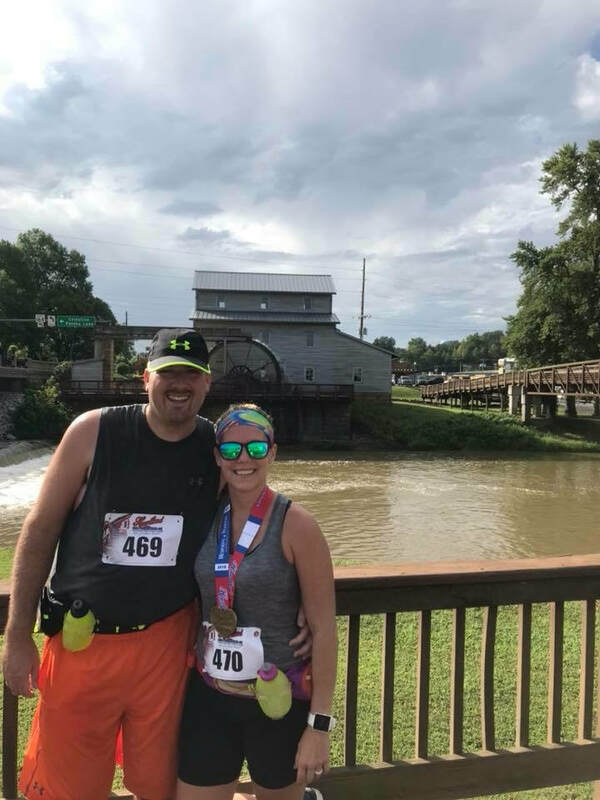 I started running back in 2005 when I first met my now husband and while I was coaching Track for North Posey Junior High. At that point it was just to complete a lap around the track and get myself back into fitness. Completing the only full marathon we have ran so far. At the Richmond Marathon, there was a random guy giving out shots of whiskey in a neighborhood to any marathoner that wanted one! A guy dribbling a basketball while jogging at the Louisville Half Marathon last year. Favorite pre and post-race meal/drink? Favorite Pre – carbs night before & protein powder, oats & peanut butter for breakfast and I cannot forget my Pre-Workout from Advocare. Post Race – Pizza and a coke! Oh and chocolate milk is really nice. I workout 4-5 days a week at Orangetheory Fitness and average approx. 8-10 miles and shoot for a distance run on the weekend 6 miles plus. I’m signed up for the San Antonio full marathon in December. 40’s with the sun shining! I technically started running for fun in college, but I only started to really get into it the past few years. I love running from the downtown Y to Reitz early in the morning. Not only do you get some good hills for training, but you have a scenic view of the city when it is dark outside. Cleveland, OH – a few friends and I decided to do the Viking Dash trail race for a sword. It was a disappointment. Our trophy was the size of a paper weight. Finishing up my second marathon around my goal time. That was the easy part. The 18-weeks beforehand were grueling as I trained with a friend. I wouldn’t have been able to do it without her. My friend getting a chalice as a trophy and drinking alcohol out of it after the race. A guy dressed up in a Viking outfit at our trail run. Favorite pre &amp; post-race meal/drink? Adidas – can’t go wrong! I run around 30 miles a week. Depends – most of the time no, but when I am by myself or on the treadmill than yes. "I’m 50 years old and have lived in Evansville pretty much all my life. I’ve been at Red Spot Paint the last 15 years as a Chemist. I also just became a grandpa this year and can’t wait to get the little guy out for a run." My running habit helps to offset my other habit of having the occasional wine or beer. I’m at 105 and counting. I started running at 45. The Burdette USI Greenway is by far the best. We’ll maintained trail, scenic and challenging. Any run that has a beer at the end is always a favorite. There are just so many fun and unique races to pick from in the area. The USI running series is the group of races I look forward to every year though. I’ve only done a few outside the area but the Urban Bourbon Half in Louisville is probably my pick. The course is challenging and meeting fellow runners from all over the country at the post-race pub crawl is a blast. I love the finish of the Evansville Half every year. You’ve spent the whole summer training with Team 13 and to be there at the end to greet all your training buddies as they cross the line and seeing all that work pay off is by far the best racing moment. Running around the Speedway during the Indy Mini and coming upon two guys in full racing fire suits doing their best Ricky Bobby routine from Talladega Nights. A guy doing the Jingle Bell 5k on skis. Chicken and pasta is my go to pre-race meal. Post-race I’ll take chocolate milk or a beer and then go find some ice cream. Just to still be doing this in 20 years. Sunny and 50s is about perfect. Just keep the heat and humidity away from me. "I am a 53 year old father of 2 adult kids and grandfather. I work for Toyota and I am the current fire chief for the Newburgh Fire Department." The fun of meeting new people and seeing the same faces running. Also knowing that I am setting an example for others to get out and exercise. It gives me some “me” time and it gives me time to relieve some stress and zone out. My girlfriend Kim helps keep me going. I started running at the age of 49 after some personal issues. It was mostly for fun but the competitor in me has kinda taken over. I like going to new places to run. It makes it challenging. Evansville and Newburgh are both great places to run and explore. I don’t have a clear cut favorite. I like them all. The local organizers do a great job of putting on some exciting and challenging races with the help of some of the best local businesses around. FDIC Courage and Valor 5K in Indianapolis. It’s held every year during the Fire Departments Instructors Conference usually in April. Indianapolis a few times. It might change this coming year. I like the longer races. I seem to be able to settle into a pace easier than the 5K’s and have better split times. For me it was completing the Evansville Half Marathon the first time. I signed up not knowing what to expect or how to train and finished under the time I set. The groups of people that come out to support the runners with their crazy outfits and signs especially during the longer races. T-rex running around and handing out candy to the runners. Pre-race I have yogurt and and a protein bar and post race I have something light and chocolate milk usually from Panera Bread. Hoka. They are very comfortable. Not as much as I would like. 5 maybe sometimes more in the winter but more in the summer. Work cuts into my running time a lot. I am thinking about a full marathon and doing the New Jersey Half Marathon/Marathon since I’m from there and my family is all there. "My name is Gina Dupps and I am 55 years old. I live in Oakland City, and have for most of my life. I graduated from Wood Memorial High School and the University of Southern Indiana. I have taught at Francisco Elementary School for 31 years. I’ve taught 6th grade for 26 years, and previously taught 1st and 3rd grades. I’ve coached cheerleading, volleyball, a little tennis, and track. The funny thing is while I was coaching I wasn’t active at all. I didn’t become active until I was in my mid forties, and didn’t start running until I was 50. I started taking zumba and doing Jillian Michaels DVDs at about age 46. The only other active thing I had done was walk a couple of miles a day. Since then, I’ve lost 100 pounds, mostly kept it off, and now teach Zumba and run races . There isn’t a day where I don’t do something active." I began running when a friend and I were walking back from an event and she said “Let’s run Gina”. I responded with “I don’t run!” She said “RUN GINA” LOL! I did, and I didn’t die. Then I decided to walk a 5k with another friend of mine, and she told me we were going to run UP the hills and walk down them. I did that and didn’t die. After that, I did Couch to 5k to work up to being able to run an entire race. Then, I signed up for a 4 mile run on the 4th of July with friends, and decided to very slowly jog. When I made it to each mile marker jogging, I just kept on going. I finished 4 miles and placed 3rd in my age group. I was hooked on races! I’m a little different from most runners in that I hardly ever run on my own. I run a lot of races by myself, but if there isn’t a shirt, number, snack, and there aren’t people cheering…. I don’t really run. Wow! I’m sure over 100. In the beginning, my goal was once a month and I didn’t hit that for a couple of years. Since then, I probably do at least 2 a month, sometimes way more. I have certain races I love to do, and I sign up for those every year. I also love doing obstacle course type runs. I’ve done 3 Warrior Dashes, the Rugged Maniac, and a few mud runs. Those are fun because I like the obstacle courses. They are super challenging. I started at age 50. Before that, I had volunteered for a couple of local races. I was intimidated to try it on my own. I thought that since I wasn’t really a runner, I wouldn’t fit in. I was surprised to find out that everyone is welcome to participate no matter the fitness level, and all of the people involved were friendly and glad to have you there! I’ve met so many people at races! I think it’s better that I’ve gone to most races on my own, because it forces me to step out of my box. I really love all the places I run. I have come to enjoy Garvin Park and it wasn’t my favorite at first. I LOVE running the Indy MIni and going through Indianapolis and the Motor Speedway. I’ve enjoyed running the night series at Angel Mounds even though it scares me to death!! 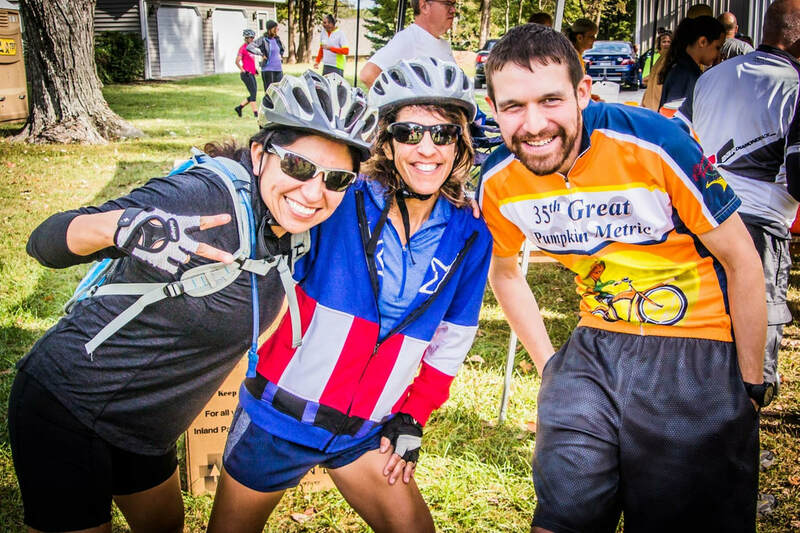 The Chilly Hilly and the USI Series are fun and challenging too! Wow! We have so many great local races. I truly can’t pick one! The Indy Mini for sure! I just completed the Disney Wine and Dine, so Orlando, Florida. That was a fun atmosphere! I enjoy longer races for the challenge, but I really prefer a 5k. My favorite race memories are crossing the finish line at half marathons. It always makes me emotional. Oh my, running in that stinkin’ Patriot race in the rain. Everyone was soaked, and there was lightning, but we had no choice but to finish! Also, I’ve done a couple in January that were FREEZING!!! I see lots of crazy costumes that are fun. I only eat a banana before, sometimes a granola bar, after races, I want lots of water. Brooks Glycerin I love the Ultimate Fit, they are sooooo helpful and friendly!! I guess it depends on which races I’ve done that week! Last week it was 6.2, this week will be 17. Early morning, although I like the Sunday afternoon runs too. I prefer cooler weather even cold. Congrats to Kristy Wagner for being named the September Ultimate Fit Runner of the Month! Kristy is 47 years old with two children. Earlier this year, she was blessed with a wonderful granddaughter. Kristy is also lucky enough to have a tremendous year round training partner who keeps pushing her to get stronger and faster. She works as a coatings chemist at Red Spot Paint and was born in Jasper, IN. She has lived in Evansville since 2001. 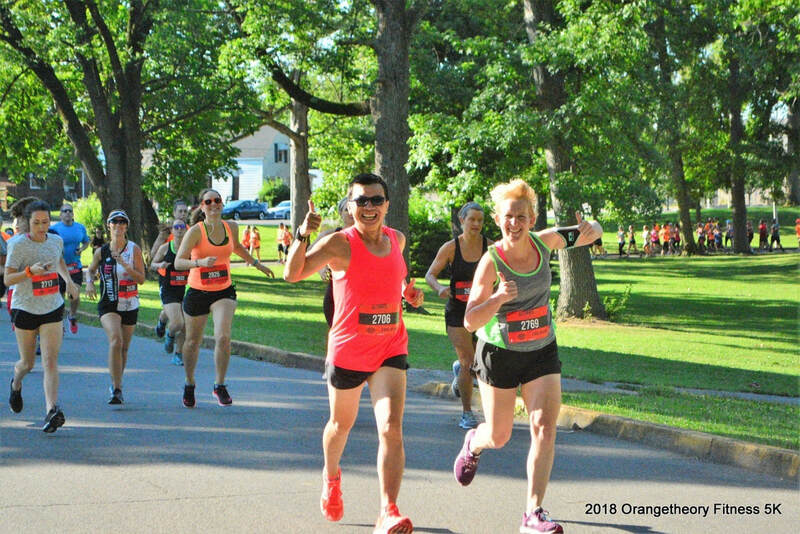 I love the health aspects that I get from running, but I really enjoy running with and meeting new people (at races, training runs or even just fellow runners on the street / Greenway). 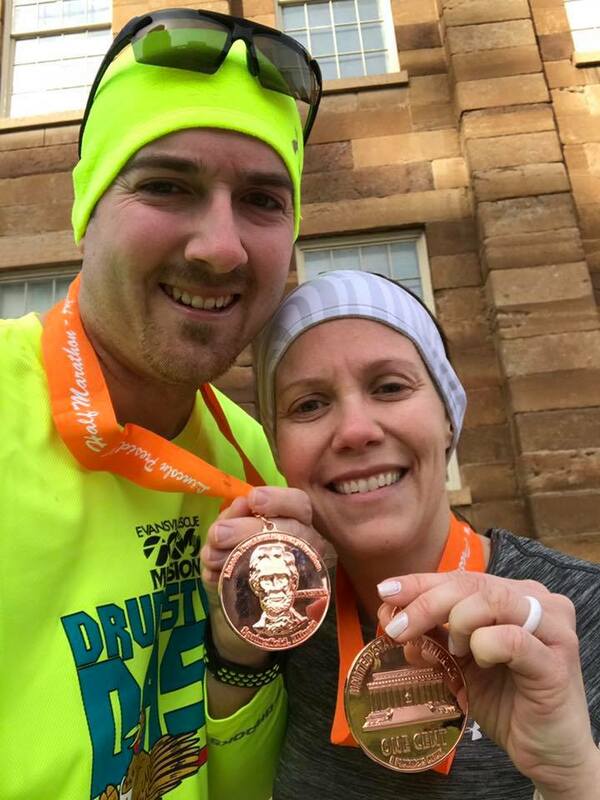 But really, there is nothing better than seeing someone conquer a distance that he or she did not think was previously possible. And if I can help motivate and encourage that person in any way possible, then that completely makes my day. I also love the camaraderie of the running / walking communities. I know of no other sport where there is so much building each other up, rather than bringing others down. When we help each other, everyone wins. I ran one year of track in high school and then stopped running until I was in my late 30s. I picked it back up to help alleviate stress and pass the time while waiting for my kids to finish afterschool activities. 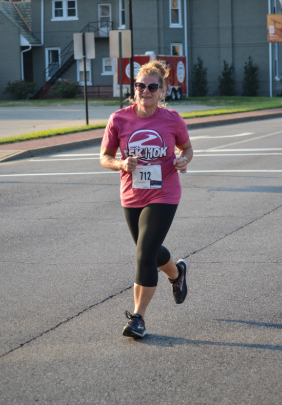 I entered my first race in 2011 – the Evansville Mesker Zoo race and have been adding more races every year. Love the USI / Burdette Greenway, especially in the spring and fall. The Cultural Trail in Indy is pretty nice as well. So many to choose from, but I guess I would have to say it is a tossup between the Mesker Zoo 5K and the USI Night Flight. Mainly because they are so different from the other races that I do. Indy Mini Half Marathon. It is an amazing feeling running with 30-40,000 other runners / walkers. Plus there is constant entertainment / encouragement along the course. Crossing the finish line at last year’s Evansville Half Marathon breaking my PR (that I had just set in May at the Indy Mini a few months earlier). It wasn’t funny at the time, but during a training run, it started to “lightly” hail (about pea sized). We continued running, but the hail turned golf ball sized and a torrential down pour to boot. We ended up huddled behind a tree (and that’s generous on the description; it was more like a sapling) on St. Joe Avenue trying to avoid getting pelted by the hail and the raging river that used to be the sidewalk. I ended up with a half dozen bruises on my arms and legs by the time it was done. I’m sure we looked quite pathetic to anybody who happened to drive past. Pre-race: English muffin with peanut butter and a banana. I am definitely a Brooks Glycerin type of girl. I’ve tried others, but these work best for my running style. To still be able to run when I’m in my 70s and 80s or older (God willing)! Late afternoon / early evening – if it isn’t too hot / humid! When I run by myself (which isn’t very often anymore), I like music. But never when I am running with my group of peeps. Congrats to the August Ultimate Fit Runner of the Month, Madison Rahschulte. 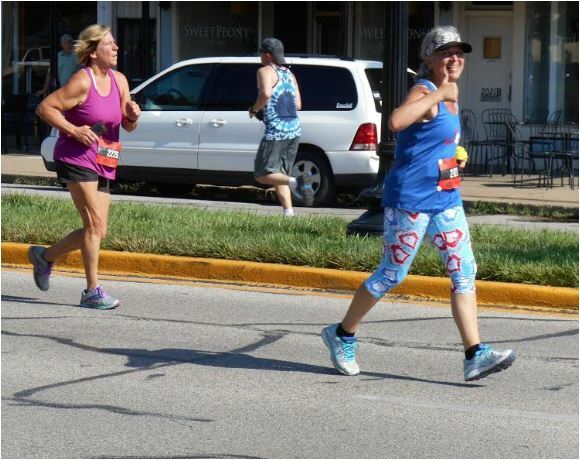 Although she is from Lawrenceburg, she is no stranger to Tri-State road races. 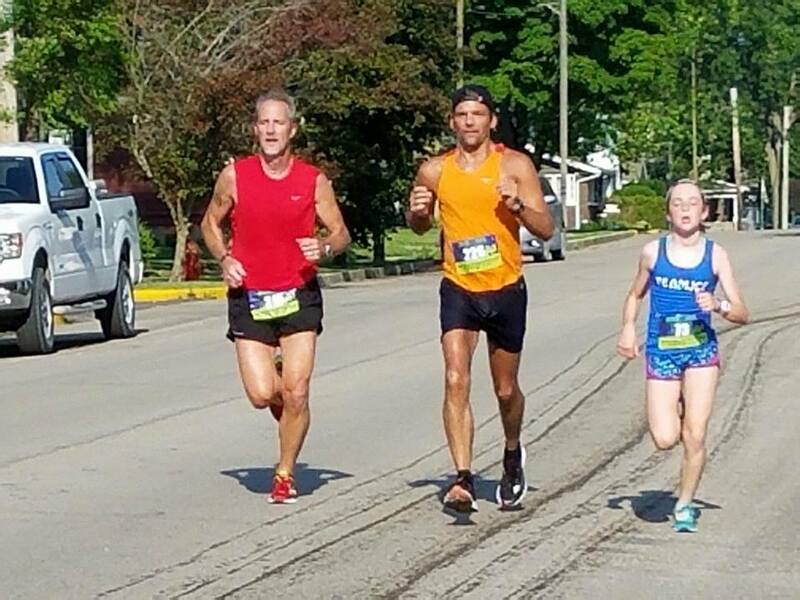 Madison completed her goal of running a race in all 92 Indiana counties in June! For those who would like to hear more about her story, she will be a guest speaker at the Tri-State Fitness Rewards Banquet Presented by Ultimate Fit in January 2019. Until then, here is a bit more on Madison and also please click the button below to see her complete list of races ran in! I am 13 years old and I live in Lawrenceburg, Indiana. I attend St. Lawrence School and will be going into the 8th grade. Started running at 8 for fun and competitively at 9 years old. My favorite so far has been Run the Ravine in Reelsville, Indiana. This was a fun trail race. I have ran races while in Tennessee, Montana, and Florida while on vacation. But the furthest that I have traveled specifically for a race is about 4 hours (within the state of Indiana). My favorite races right now are 5Ks, but I have ran 10Ks and a 15K. Me and this guy (Lester from the county Turkey) went out really fast during a race (there was a 5K and a 10K). We didn’t notice that we missed the first turn on the course for the 5K, but continued following the arrows on the road. We didn’t know they were for the 10K. Police were blocking the roads and volunteers were at the corners of the streets so we didn’t think there were any problems until we were about 3 miles in and we weren’t close to the start/finish line. So, we ended up finishing the race….and, we ended up 1st male/female of the race.